When Cinco de Mayo falls on a weekday, it’s a little tricky to celebrate with actual margaritas, which is why this recipe for Margarita Chicken comes in so handy! 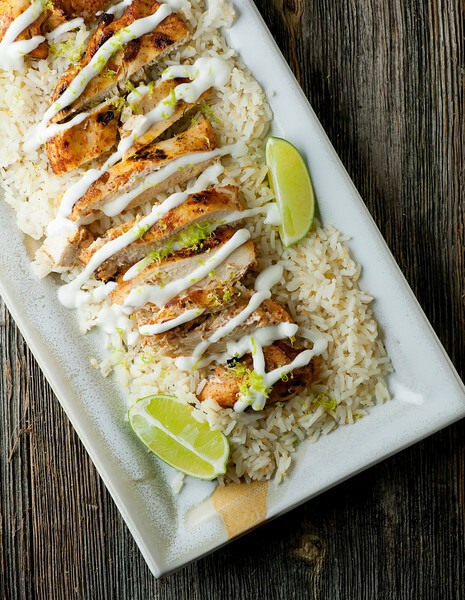 It’s chicken dinner but with a little bit of spice and lime and zing to it, because even if Cinco de Mayo IS on a Thursday, we still need to be a little festive. So grab yourself some chicken and some limes and let’s get this well-behaved but still zesty party started with this suppertime version of your favorite cocktail! It also gets the grill into the action, and now that it is light outside well into the dinner hour and the dogwoods are blooming and I’ve finally gotten over my assumption that I am going to step outside my door without freezing, it’s time to cook outside! And to lounge around outside whenever possible. Adirondack chairs, here I come. 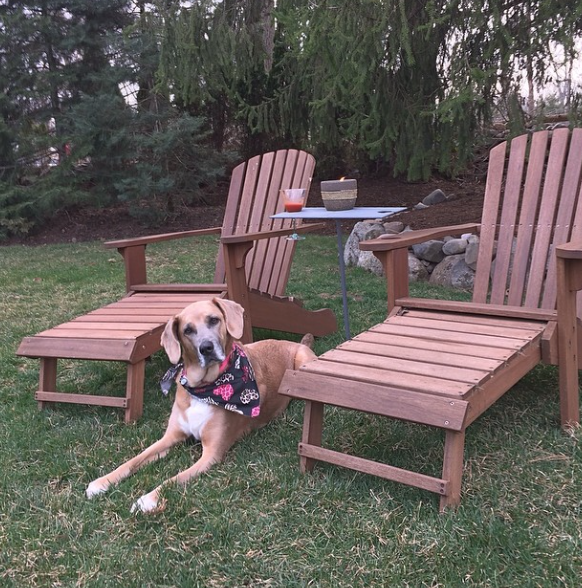 It’s always good to have a sentry for your Adirondack chairs. Mine also is enamored of eating bugs, which is helpful. Back at the chicken, you want to marinate yours in a lovely, piquant bath of lime juice, olive oil, chili power, garlic and just a little bit of tequila. Yum. Once it has soaked in this marinade for a good long time, all that’s left to do is grill it up until it is lovely and tender. Now mix up a little sour cream with milk (this makes it drizzleable!) to decorate your lovely chicken. 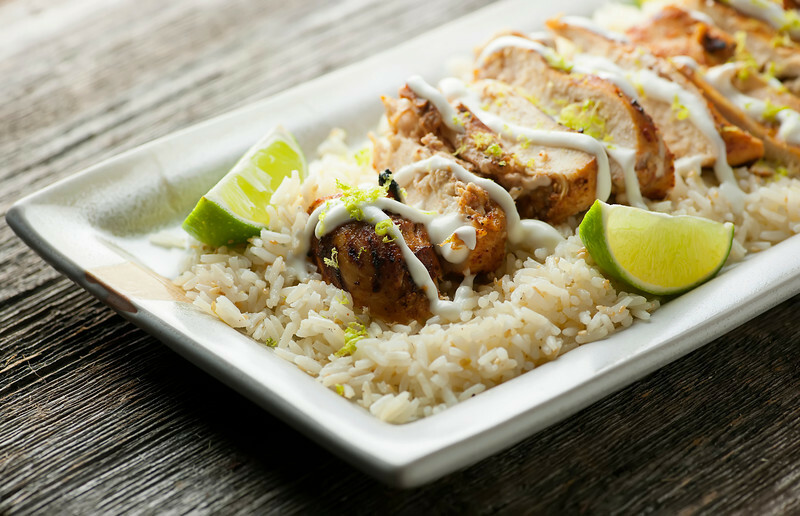 I like to serve mine on a bed of rice that I’ve tossed with a little olive oil and lime juice, and I give the chicken both a scattering of lime zest and a nice squeeze of lime juice for good measure. It’s also nice to give each person their own lime wedge for extra squeezing. Plus it’s pretty. I’m a big fan of pretty at suppertime. Easy and delicious! Let’s keep Cinco de Mayo going! Combine all ingredients except for the chicken, the lime zest and the sour cream/milk in a large ziplock bag. Zip it shut and turn the bag over a few times until everything is well combined. Add the chicken to the bag and marinate at least 12 hours (or even better, overnight! ), turning the back now and then. When you are ready to cook, heat the grill to medium high. Grill for about 4 minutes per side. Mix the sour cream and the milk until it is pourable. Drizzle over the chicken. Scatter lime zest on top and serve with lime wedges on the side. Mmm I think I could eat this margarita chicken all the time. It reminds me of a restaurant version that I just had last week. Love the zesty flavors, Kate! I missed out on my margarita yesterday, so you can bet I’ll be doing it today. Maybe with some chicken. I love all the things you do to chicken! This is perfect for dinner any night of the week! I love your idea of adding a little fresh squeezed lime right before eating! That is such a great idea!